Hi friends, today I’m talking you through my single eyeshadows. In my experience, single eyeshadows are something to be cherished, as a result of the effort taken to seek them out individually. I only have six, but they were carefully researched and considered purchases, and I love them all the more for it. 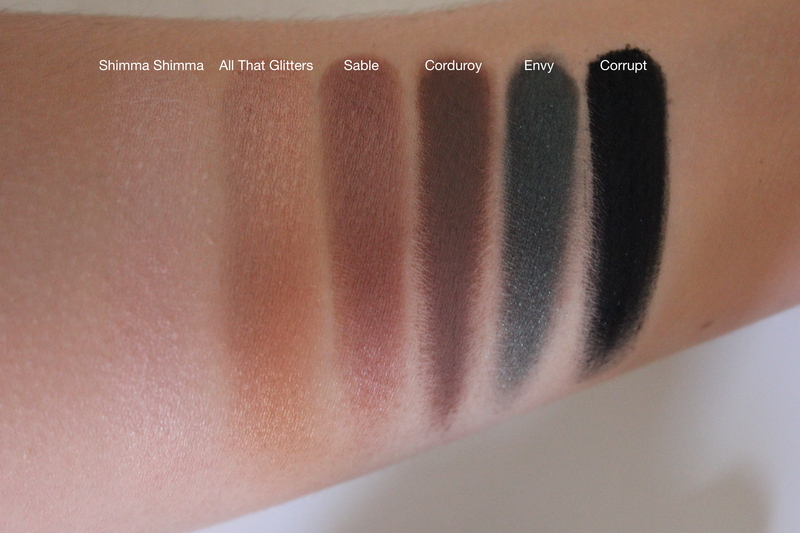 My single shadows are either MAC or Makeup Geek, because I consider them soft, pigmented and blendable. I also recommend Urban Decay, based on my indispensable Naked palette. You’ll notice I tend towards warm tones – this is to complement my green eyes and skin’s yellow undertone. 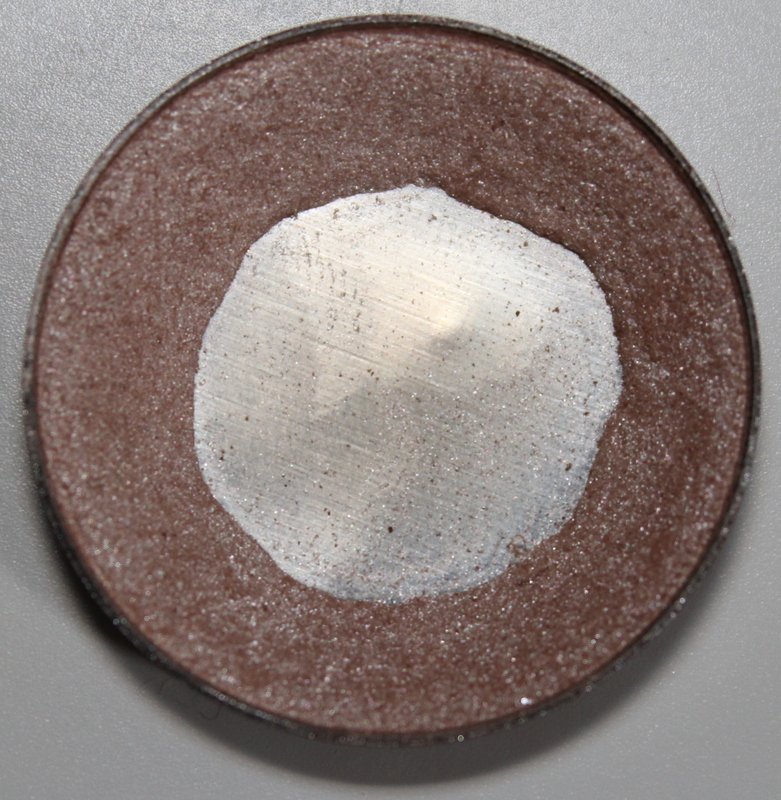 A metallic champagne, perfect as a subtle lid shade, or for highlighting the inner corner. As you can see from the swatch, it is not far off my skin colour. I bought this as a duplicate for Sin from the Naked Palette, and it is in daily use. I’m almost certain you’ve heard of this popular shade – it’s a beautiful warm peach with a frosted finish. I use this all over my lid, either solo or on top of a cream shadow to intensify it (see my work makeup). This is my most recent purchase (June), and as you can see, I have already made a large dent. 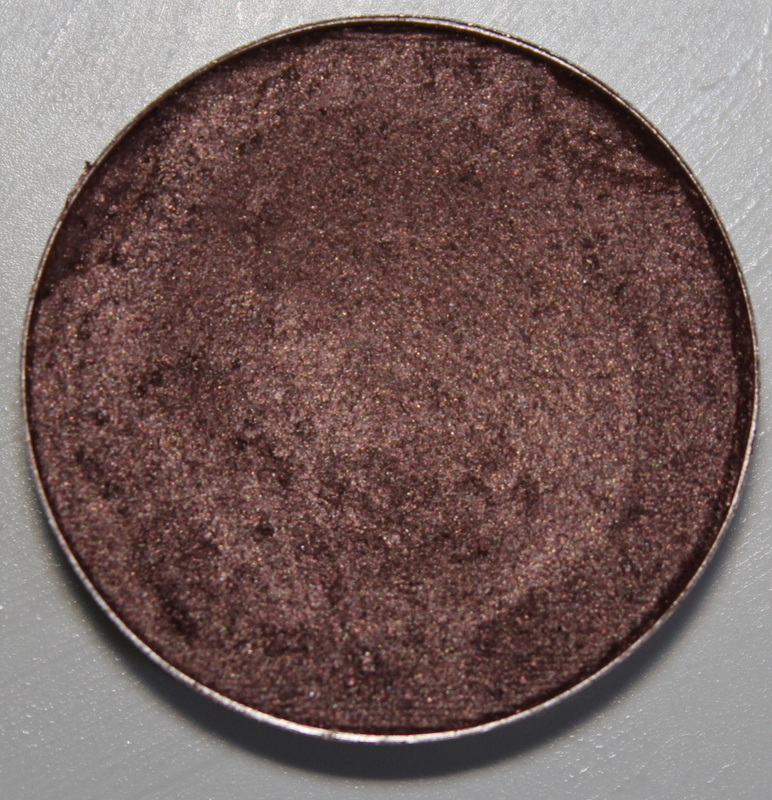 Sable is a warm, plummy copper shade with a captivating sheen on the lid. 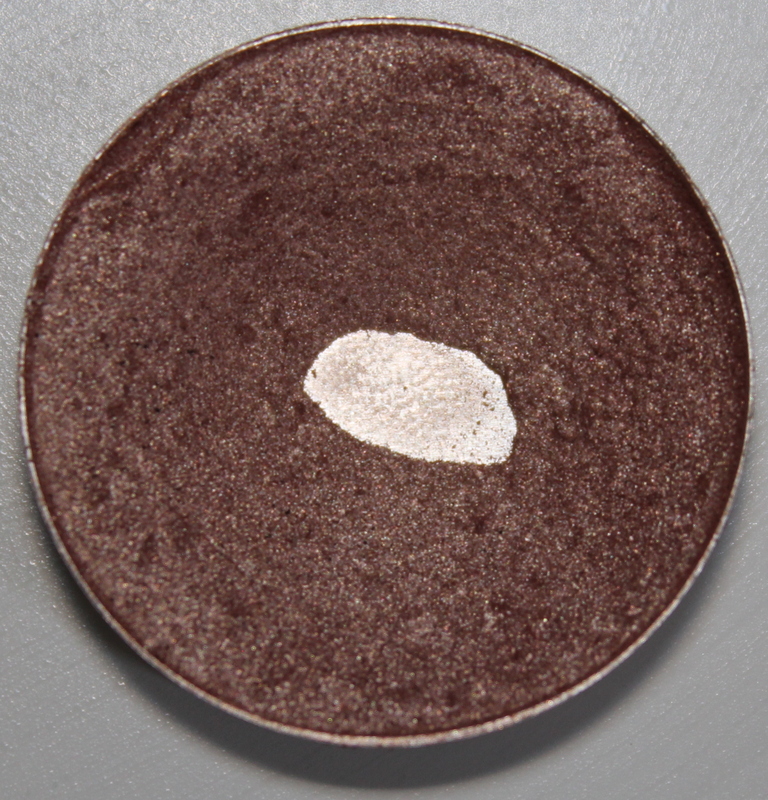 The shadow has a gorgeously creamy formula, perfect for quickly buffing over the lid and into the crease. Adding a touch of mascara results in an easy, elegant eye look. 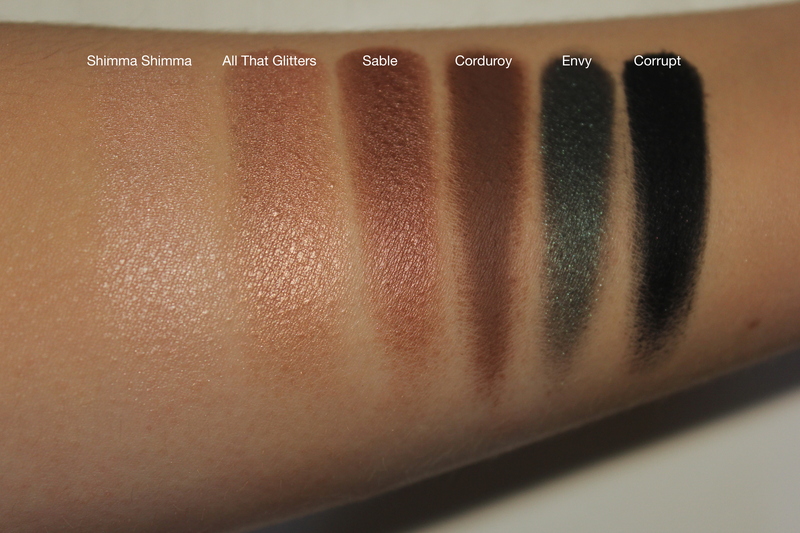 Sable is a great duplicate for Toasted from the Naked palette – my reason for purchase. 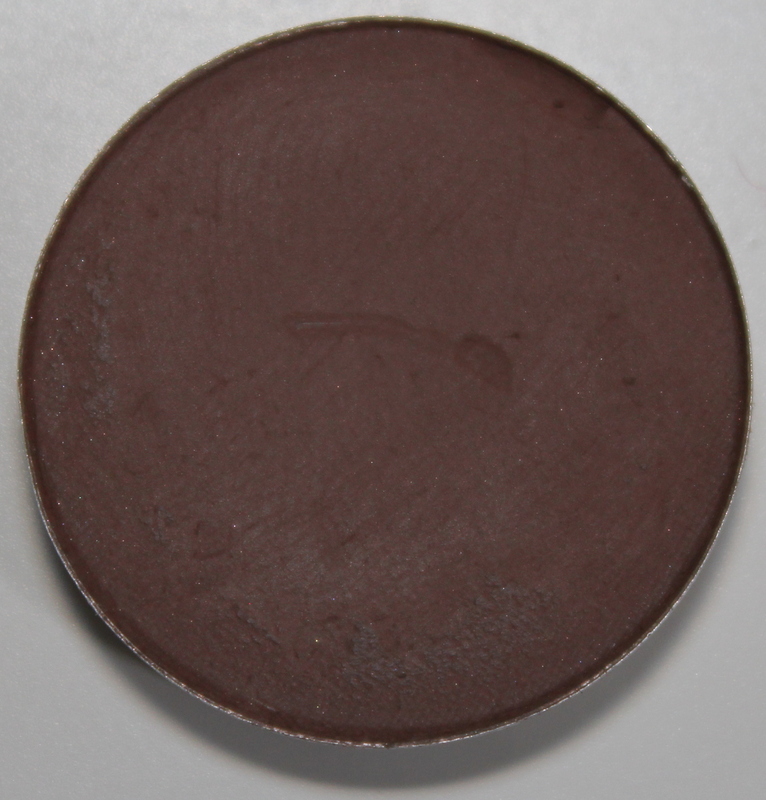 This is a matte warm brown shade – perfect for deepening the crease or outer corner of the eye. It has the worst pay-off out of these six shadows, but is still a very good, blendable matte formula. I bought this to replace a dark brown shade from a Sleek palette I had finished, but never felt it quite came up to the mark. 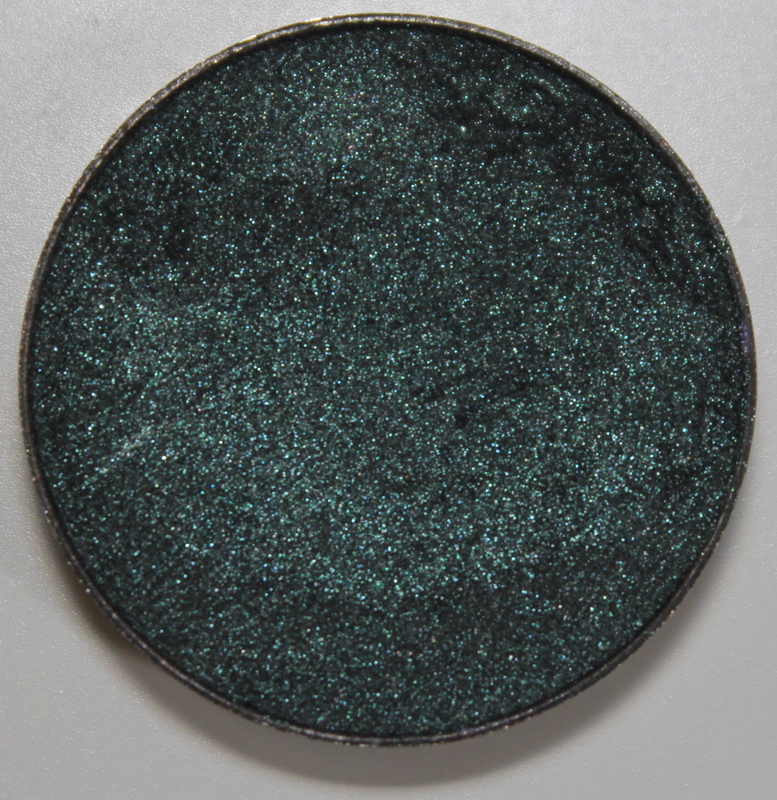 Envy is a wonderfully pigmented, iridescent green metallic shade. To be honest, I haven’t found a lot of use for this shadow, but I don’t care because… look how pretty it is. It could definitely be used in a dramatic look such as my intense green eye, or perhaps wet as an eyeliner with a difference. 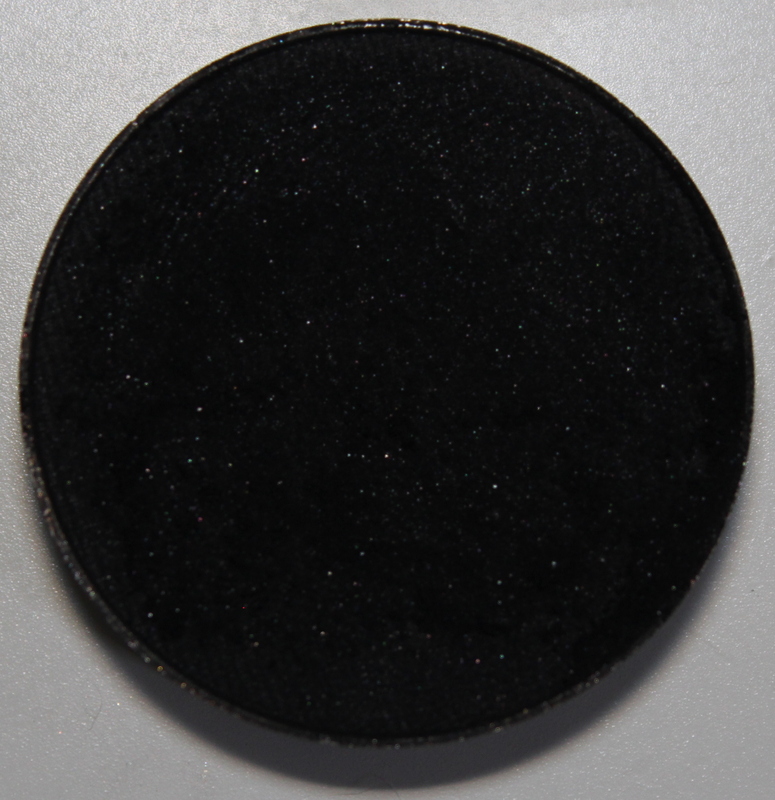 This is the blackest black eyeshadow you will ever find. It is so pigmented that dropping it results in an absolute cleaning catastrophe. I use a tiny amount on either a pencil or eyeliner brush to define the lash line. It’s an excellent substitute for liquid eyeliner when used wet. I hope you enjoyed this breakdown of my single eyeshadows – perhaps it inspired you to try a few of these shades out? Ah what a great first purchase! Mine was Corduroy which is a pretty boring choice hahah.